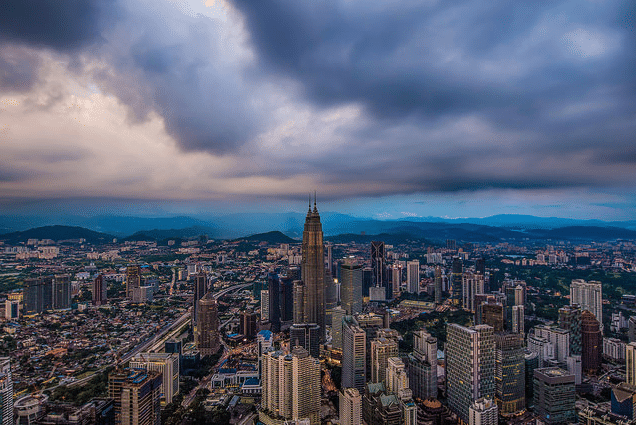 Malaysia is a great destination for travelers as it has numerous interesting cities for you to visit – Kuala Lumpur, Johor Bahru, Penang, Melaka, Ipoh, Kota Bharu and many more. For me, each one of them is different and unique in their own special ways. Would you like to know more? Let’s read and find out more about some of the must-see cities in Malaysia! What makes these must-see cities in Malaysia so different from each other? I put this first because it is the capital state of Malaysia after all. Kuala Lumpur, which is also called KL by the locals, is a metropolis that offers the ultimate city life. Here in one of the must-see cities in Malaysia, you can witness the grandeur of skyscrapers like Petronas Twin Tower and KL Tower. You can also find many luxurious hotels, Michelin-star restaurants, and huge shopping malls in this city – can’t find these elsewhere in Malaysia! 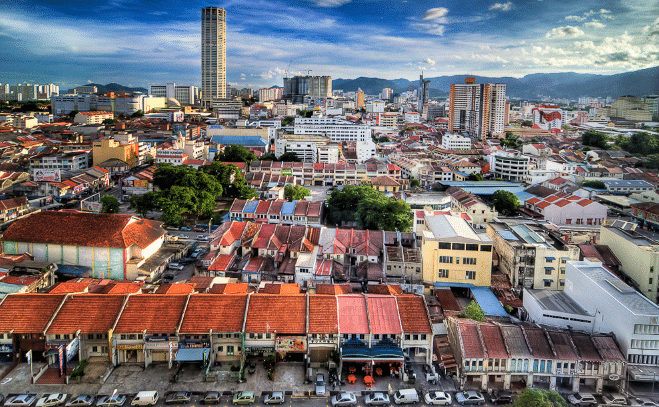 If KL is famous for its modern architecture and lavish city life, Georgetown that is located on the island of Penang is famous for its history, food and British colonial buildings. Locals love to flock the island during the holiday (which also explains the massive traffic jam around November to December!) to enjoy its colonial charms and exquisite local delicacies. Rojak Pasembur, Char Kway Teow, Nasi Kandar and Assam Laksa to name a few! Ipoh is a small city but offers quite a unique and memorable experience to its visitors. Where else can you find a majestic view of a long range of limestone hills? Only in Ipoh. It will make you feel as if you have just stepped back in time into the Jurassic world! Ipoh is also full of old, heritage buildings – they remind you of the 50’s and 60’s. If you are into old architecture, you will definitely enjoy your time here. Quite similar to Georgetown, you can find several interesting spots for photography especially at the mural walls on the old buildings. But, unlike Georgetown, a traffic jam is a rare sight. It is definitely one of the must-see cities in Malaysia! If KL and Georgetown are located on the west coast of Peninsular Malaysia, Kota Bharu is on the other side of the peninsular. 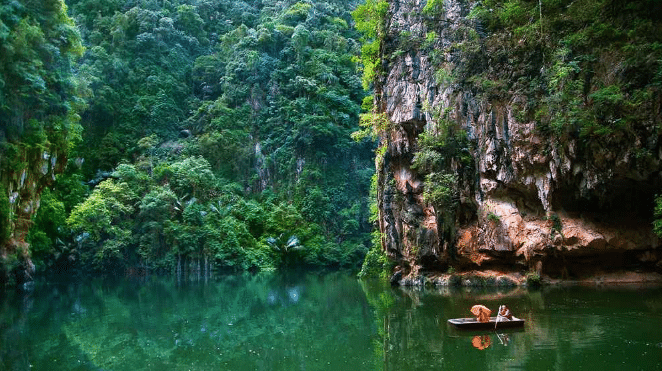 Situated near Thailand, it offers traditional Malay and Islamic heritage and cultures. Malaysians dub it as ‘Serambi Mekah’ or in English, ‘The Porch of Mecca’. For example, Pasar Siti Khadijah. 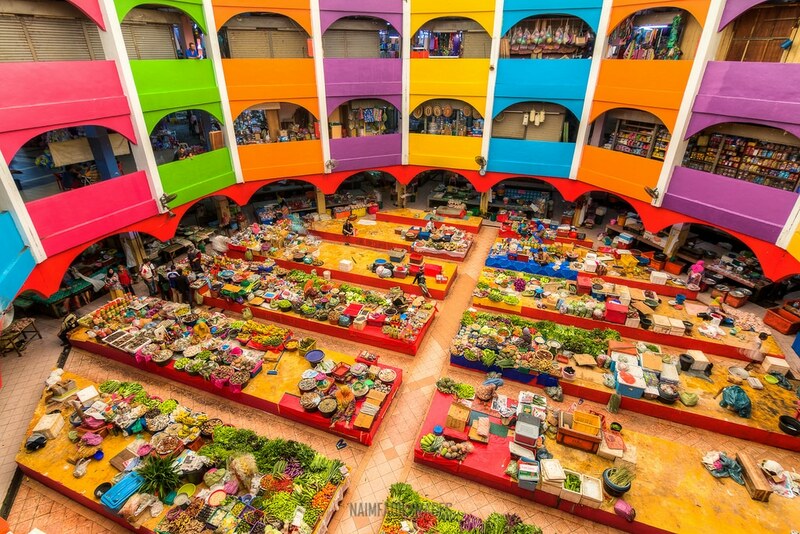 It is a famous local market that features Muslim-women-only sellers at the wet market area. Here, you can get fruits, veggies, and seafood on the first floor, souvenirs and homewares on the second, and batik fabrics on the third. Also located on the east side of Peninsular Malaysia is Kuala Terengganu. For me, it offers its own unique charms – the sea life. 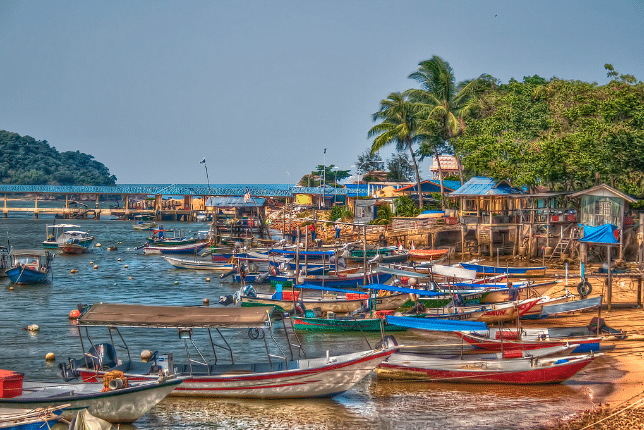 You can visit many Malay fishermen villages here. And when I talk about Kuala Terengganu, the view of long lines of swaying palm trees on the beach comes into my mind. It’s not something that you can find easily in any other cities. Johor Bahru is situated near Singapore and is the main entry point from Malaysia to the neighboring island country. So, what’s unique about this city? In the recent years, it has started to flourish as one of the major tourist destinations in Malaysia. These days, there are plenty of interesting places that you can visit. For example, Legoland. 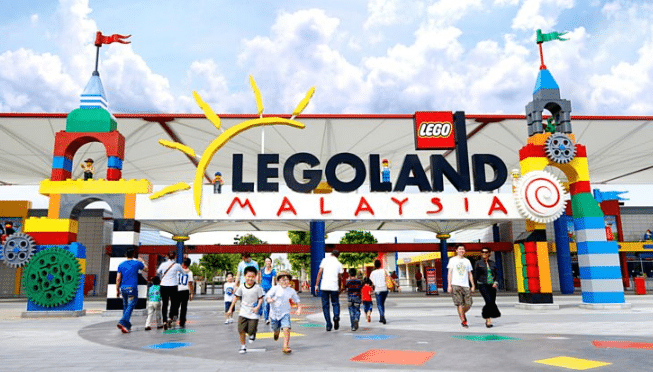 It is the first Legoland theme park in Asia! JB is also famous for its Hutan Bandar (jungle in the city). Think Central Park in New York. If NY has only one Central Park, JB has multiple of them throughout the whole city! 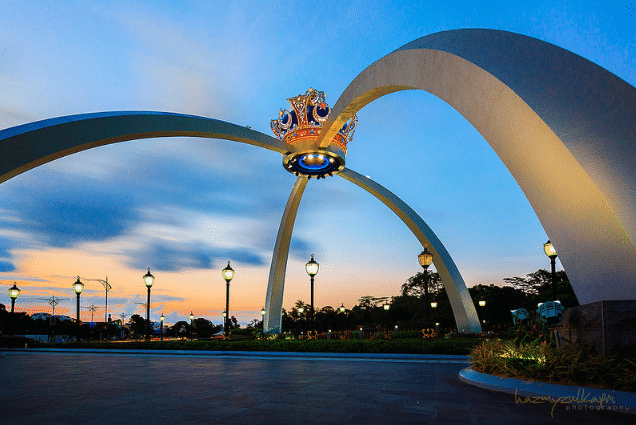 This is also the city in which you can find the giant replica of Royal Crown of Johor right in front of the famous Bukit Serene Palace (a great place for a selfie!). Try to find a giant crown in other states? You won’t find it. Muslim travelers must visit one of these top must-see cities in Malaysia! For me, no trip to Malaysia is complete without a visit to Melaka. It is a historic city with a perfect blend of British, Portuguese and Dutch cultures. 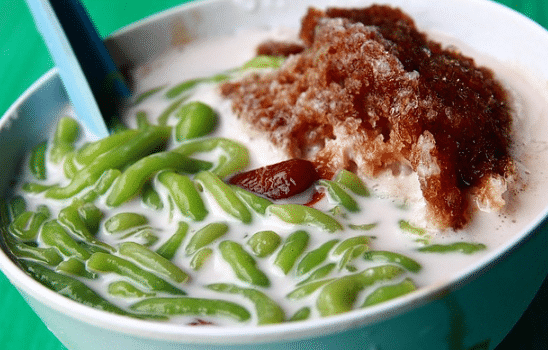 The rich heritage is especially obvious in its food like assam pedas and cendol. Plus, it is a major tourist attraction, thanks to the many historical buildings like the A Famosa Fortress and Dutch Square. Indeed, it is a great city for history lovers as it contains about 26 museums and they are all in close vicinity! Kuching, which brings the meaning of ‘cat’ in Malay, is located in Sarawak on the Borneo Island. It is another unique and must-visit city in Malaysia that offers tons of places to visit and activities to do. It is famous for its scenic river waterfront view and historical landmarks like the one-of-a-kind Astana Palace. 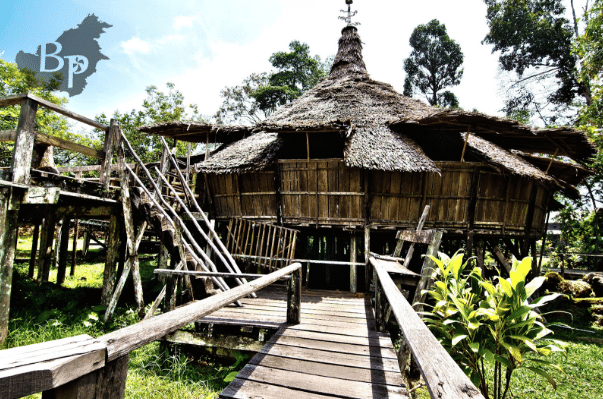 Also, where else can you find aboriginal villages of over 40 ethnic groups? Only in Kuching! 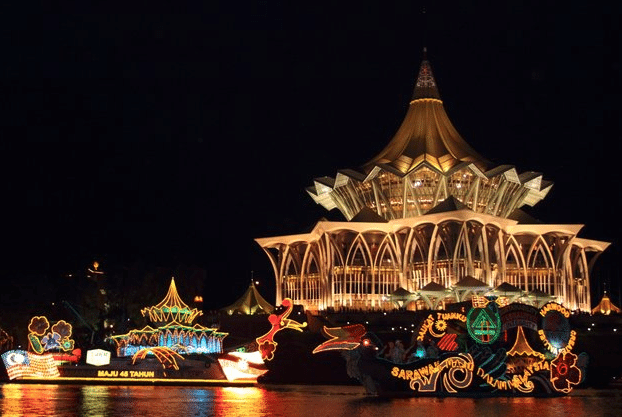 If Kuching is famous for its riverfront view, Kota Kinabalu (also referred as KK) is popular for its ocean view – the coastal city overlooks the beautiful South China Sea. The sunrise and sunset view in this city is definitely to-die-for! 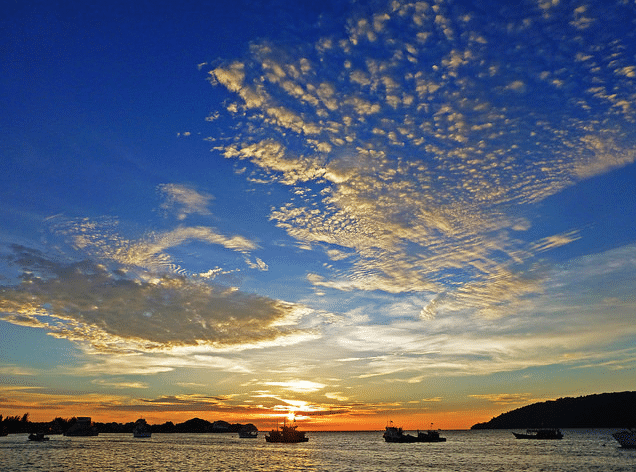 After a few minutes of a boat ride, you will arrive at Tunku Abdul Rahman Marine Park. You can do many sea activities here – snorkeling, swimming, and diving. 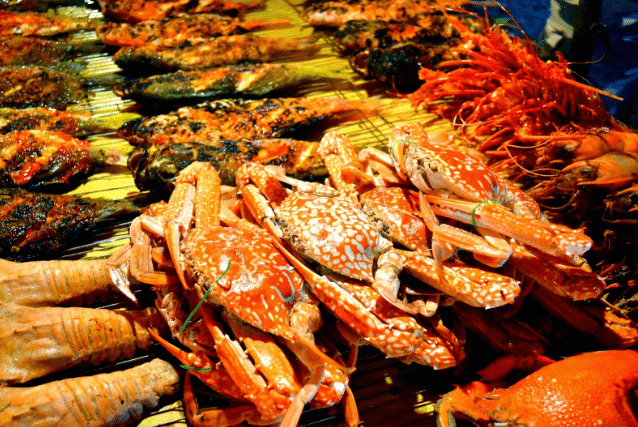 Also, where else in Malaysia can you enjoy eating seafood and shopping sea pearl jewelry at one place? Only in Kota Kinabalu at the Filipino Market! As you have learned from above, all of these must-see cities in Malaysia are special in their own ways. They have many attractions, which provide tourists with tons of options. Have a visit to Malaysia and enjoy exploring each one of them! 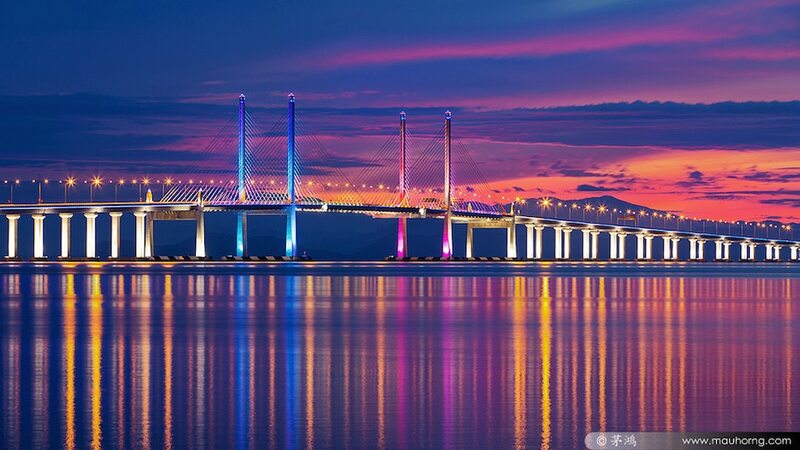 So, which one of the beautiful cities in Malaysia above would you like to visit? Share with us your thoughts in the comment box below!